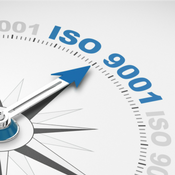 The best way to achieve and maintain ISO 9001, ISO 14001, and ISO 45001 compliance. 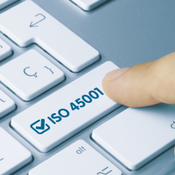 EHS Insight makes it easy to monitor, measure, audit, and review nearly anything related to your management systems and ISO 9001, ISO 14001, and ISO 45001. Be up and running in weeks, and have a complete solution right out of the box. Regardless of what industry you are in, EHS Insight can help ensure you are complying with relevant standards such as ISO 9001, TQM, Six Sigma, HACCP, or others. Includes nonconformance reporting, quality inspections, investigations, corrective actions, regulatory requirements, and permits. Learn more. 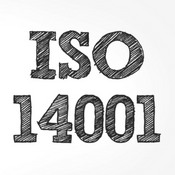 The best way to achieve and maintain ISO 14001 compliance, EHS Insight helps you identify and manage significant aspects and impacts and automate the important processes related to each. Set objectives and targets, and track progress across the entire organization. Assign activities to ensure compliance. Learn more. EHS Insight solutions for ISO Management leverage components available as standalone features, but are fully integrated should you choose to adopt the entire solution for your ISO Management needs. Implement ISO 9001, 14001, or 45001 in part or in total, and at your own pace. Report and track releases, discharges and damage to the environment in compliance with company, regulatory, and industry requirements. Learn more. Report and track quality incidents in compliance with company, regulatory, and industry requirements, including ISO 9001 and other standards. Report, track, monitor, and improve all aspects of your quality management program. Learn more.